It’s a bit tough finding time to blog when you’re out and about daily. This week I was in Hastings all of Monday, including investigating a proposed gravel quarry at Maraekakaho and visiting Bridge Pa, and then at the Waipukurau Meet the Candidates on Monday night. On Tuesday I went up to Wairoa for a meet the candidates in the evening, where I filled in for our Napier candidate Brett Stansfield. 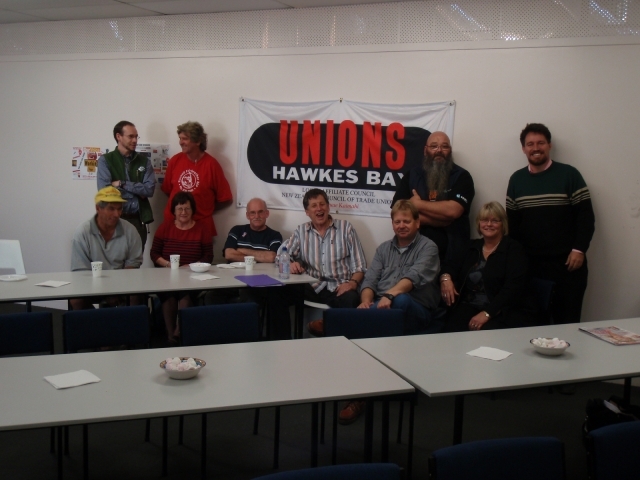 On Wednesday I was in Napier where I met with the chair of the Regional Council, and visited the Union centre to meet workers. 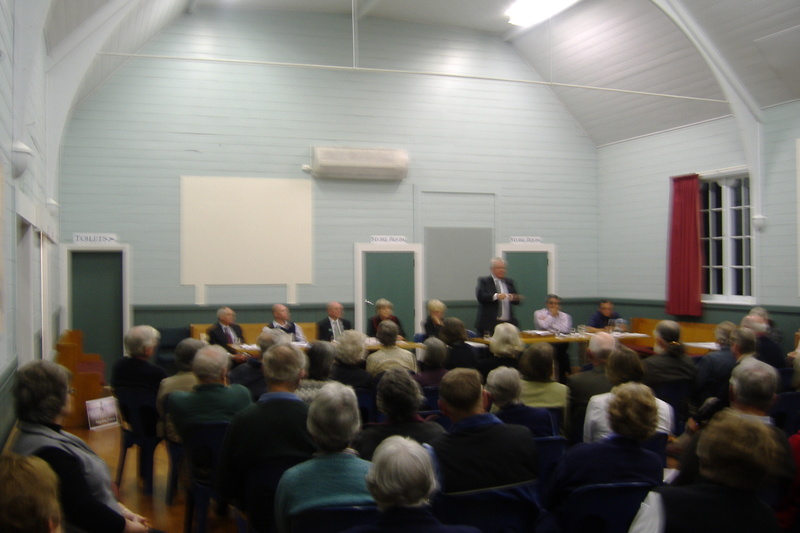 On Thursday I did a meet the candidates in Taradale, and joined our Ikaroa Rawhiti candidate Bevan Tipene Matua for a korero on Radio Kahungunu and then at Te Taiwhenua o Heretaunga. Tonight (Friday) I joined the monthly community roast meal with 40 locals at the awesome Paper Mulberry, where the staff wore “I only date boys/girls who vote Green” labels. Howdy folks. 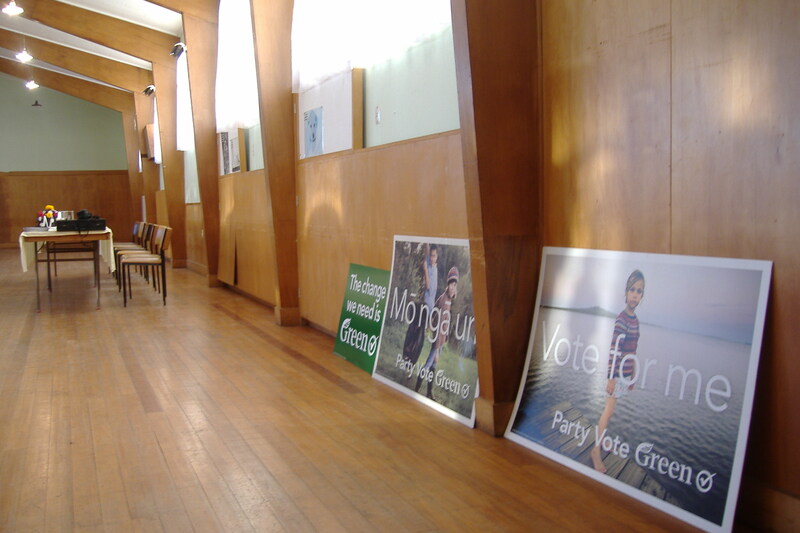 Green candidate for Tukituki here. 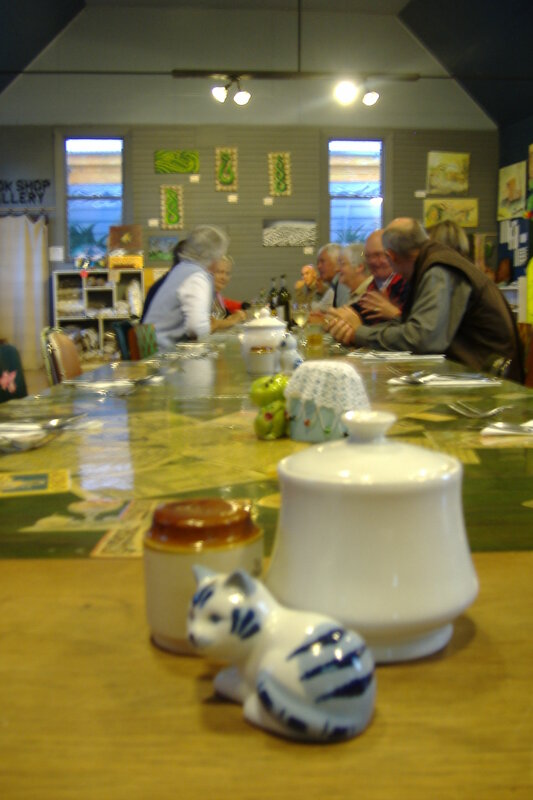 May I invite you to my Green Hawkes Bay blog. The Greens recognise the power of education: that the long-term future sustainability of our society, economy and environment is in the hands of our children. That is why we have prioritised environmental education. 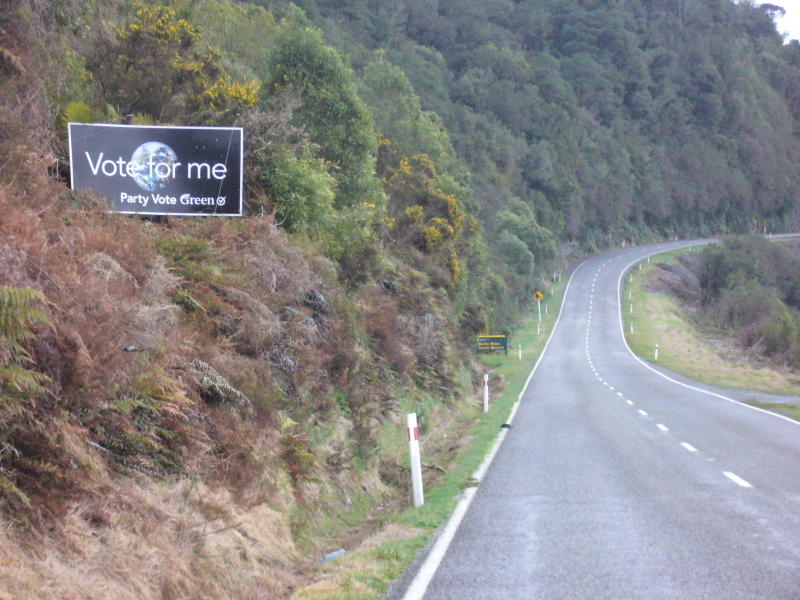 It is no coincidence that our election hoardings feature children, thinking and playing, and say: “Vote for me” and “Vote for us”. Children represent the hope for a sustainable and fair future. The Green Party represents that future, and represents children. We also recognise that the ability of our children to have a sustainable future is in our hands today. If the world we leave them is trashed, and if we do not adequately equip them for the future, then their future is bleak. 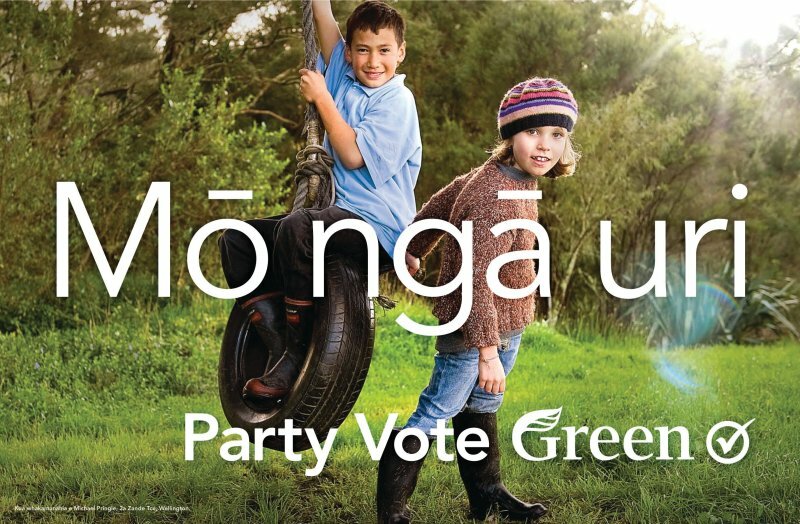 The contemporary realities of climate change, the end of cheap oil, the pollution of our rivers, declining biodiversity, unaffordable unsafe and unhealthy food, and the continuation of child poverty in New Zealand – these are our issues, today, and the responsibility to address them is also ours. That’s what the Greens will do. As a friend said to me this week: “If you think telling your kids there’s no Santa is hard, try telling them there’s no North Pole”. For a future worth teaching for, Party Vote Green.